A NEW dance drama that fuses Bollywood style with moves from the streets gets a run out this May across the country after featuring at the South Bank Alchemy Festival earlier this year. Developed by Rifco Arts, Break The Floorboards, sees an energetic young cast ply their talents across two different genres in an action packed drama penned by broadcaster and writer Yasmeen Khan. The story may not be hugely original, but the music and choreography could save it from being a cliché and catapult into an erstwhile hit. The precedents are good; directed by Pravesh Kumar, the artistic director of Rifco Arts, and the man behind hits Britain’s Got Bhangra and The Deranged Marriage and choreographed by Maria Swainson, who has worked with Emeli Sande and The Saturdays, and composer Sumeet Chopra, who scored the tunes for Britain’s Got Bhangra, there should be enough talent to keep this show on the road. Centred around troubled teenager Zain, who wants to dance but can’t find an appropriate outlet for his ambitions, his way forward is thwarted by a fascist march, disapproving parents and peer pressure, but possible salvation is at hand when he meets a young dancer called Sophie. Her presence inspires him to have some Bollywood moments of his own. 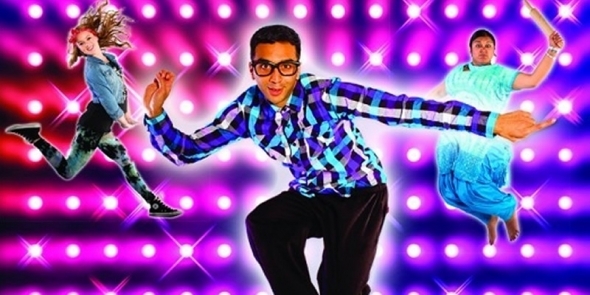 Among the cast are Daniel Uppal, who plays Zain, Carrie Baxter, Alim Jayda, and Sheena Patel, who were both in Britain’s Got Bhangra and newcomers Nathan Clarke and Stuart Vincent. Break the Floorboards opened at Watford Palace Theatre, with whom it was first developed and can be seen in Warwick, Oxford, Oldham, Peterborough and Windsor between May and June.